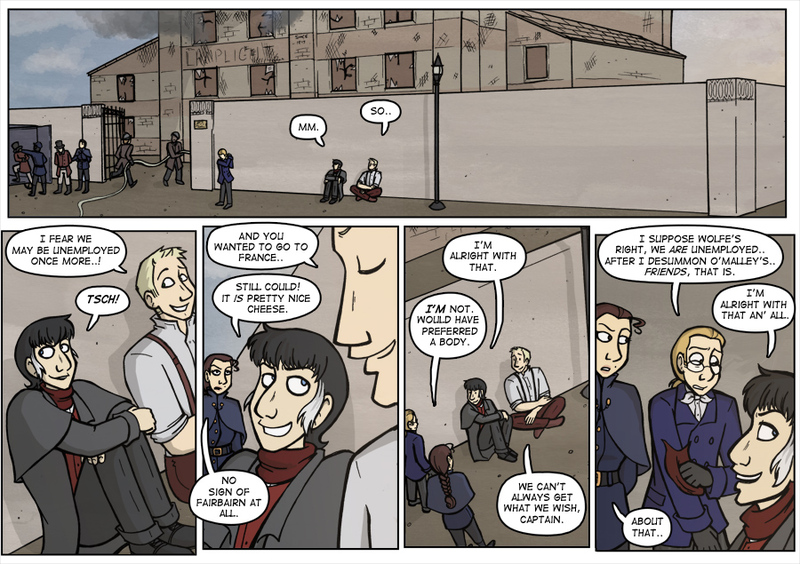 That last panel is the closest Nicola's come to a smile all chapter. Hey guys! It's the last week of this storyline, seems like it's gone quite fast, really.. We'll have some guest art, sketches, and character Q&As running next week, then we'll start the next story, Vanishing Act. If you'd like to send us some fanart, please email me at kojiro_muyo@hotmail.com, and let me know what name you want to be credited as, and any site you'd like linked. Ask a character a question, and I'll sketch a response! Anyone from either story, it's all good! Use the form on Tumblr here, no need to register! Hope you're still enjoying the comic, and are looking forward to a new story as much as I am!